Klapa Kartolina is an a’cappella vocal group that promotes klapa singing – a multipart singing tradition from the region of Dalmatia, in Croatia, which is inscribed with UNESCO as an Intangible Cultural Heritage of Humanity. The word klapa translates from Croatian as “a group of friends”, and kartolina meaning “a postcard”. The group is based in Windsor, Ontario, Canada and is affiliated with St. Francis of Assisi Croatian Catholic Parish. Klapa Kartolina was founded in 2013 by a handful of music enthusiasts led by Višnja Tijardović and has performed on numerous concerts and cultural events in Canada and Croatia. The group has performed in 2016 on several, prominent concerts of klapa music in Croatia, most notably the 50th Festival Dalmatinskih Klapa Omiš, as a guest performer. Klapa Kartolina has organized their very first Klapa concert in Windsor in 2015, at the Art Gallery of Windsor, which has become a regular annual event that hosts guest performers as well. The group has youth Klapa Fritule under their wing , which is directed by Višnja Tijardović as well. 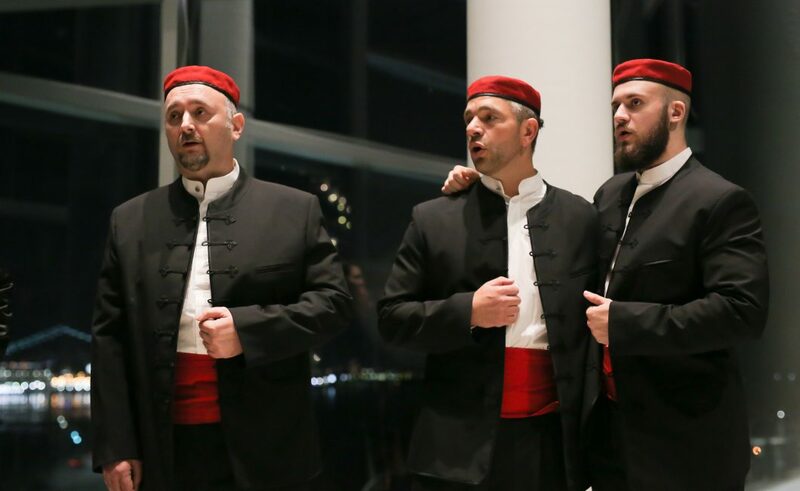 Members of Klapa Kartolina perform dressed in authentic traditional outfits from the city of Split and thus further promote and cherish Dalmatian and Croatian folk heritage.